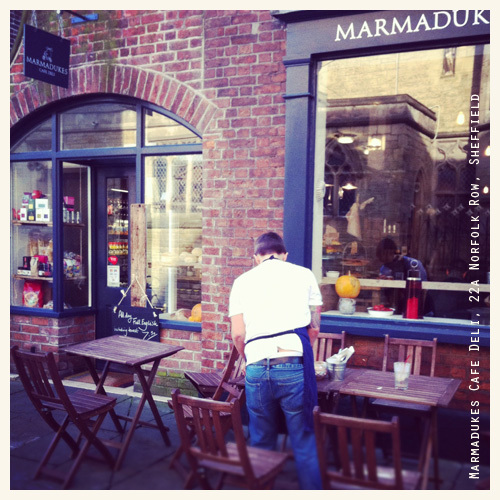 I stumbled across a new coffee shop whilst popping into the city centre on a break away from design; please meet Marmadukes Cafe Deli on Norfolk Row (this used to be coffee shop 22a). 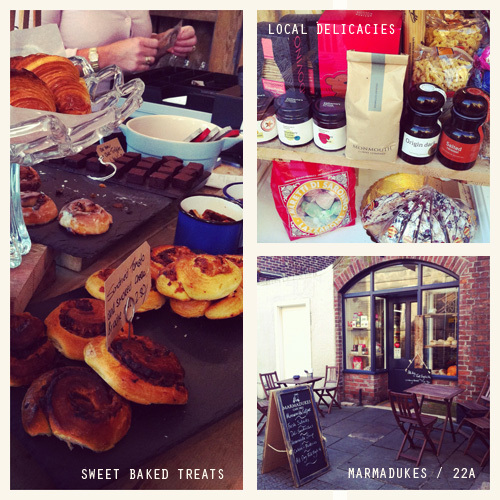 Marmadukes (twitter: @MarmadukesCafe) is an independent cafe deli in the heart of Sheffield, serving a range of hot drinks, own-made sandwiches, homemade cakes and deli produce ranging from Catherine’s Choice jams and relishes, with baked bread treats from from Nottinghamshire’s Welbeck Bakery, dried pasta, biscuits and many more artisan goods and edible surprises as food gifts. I loved the cosy, yet rustic, feeling of the small space. 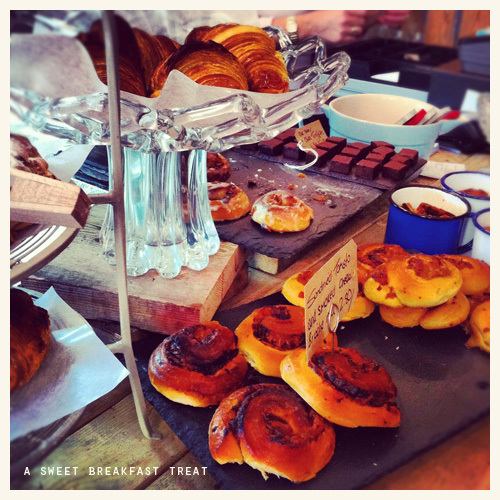 Their menu options were very small, focusing around hot and cold sandwiches, cakes, sweet breads and pastries, along with a few hot ‘daily special’ dishes but I’ve read on twitter that a new menu is currently underway and with bistro supper nights starting soon too. It’s a refreshing change to the coffee chains; a fun and bustling space for sure and service with a smile which makes all the difference! I’m looking forward to visiting again once their new food menu’s out which I’m sure will be the perfect treat with friends.